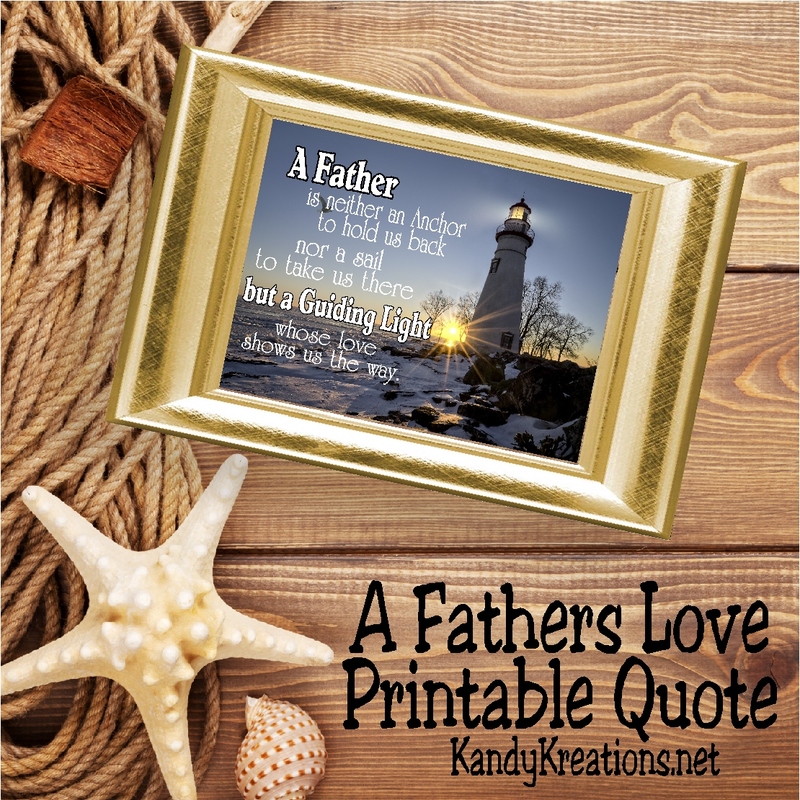 A Fathers Love printable quote is perfect for a quick Father's day gift to show dad how much he means to you and how much you appreciate him. 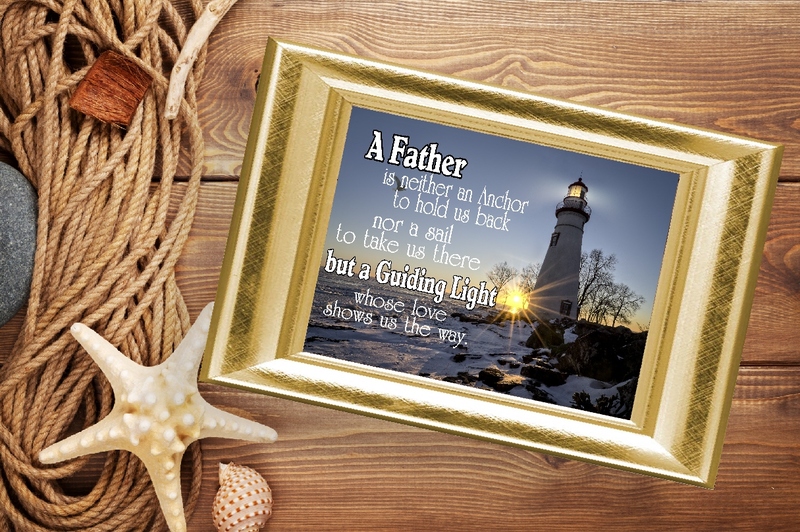 Print it out and frame in a 4x6 inch frame to help dad all those times you aren't the "perfect" child. Father's day is just a few weeks away and I'm feeling particularly nostalgic about it today. I am traveling cross country to my new home in South Carolina and was able to stop in Texas this week to spend it with my parents. I know I am so blessed to be able to see them as often as I have over the past few years, and so am feeling the strain as I travel far away and am not sure when I'll see them again. Especially as I look at their health problems and worry. 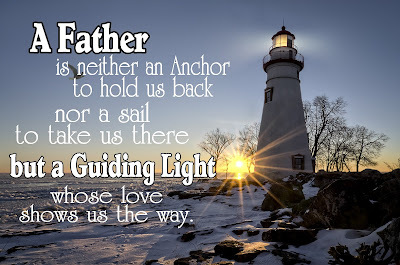 I am so blessed to have the most amazing parents who truly have been a guiding light to me in everything I do. 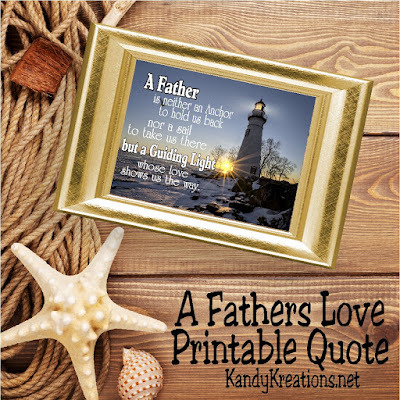 Today's free printable from our 30 days of summer is a quote that's perfect for a Father's day gift. 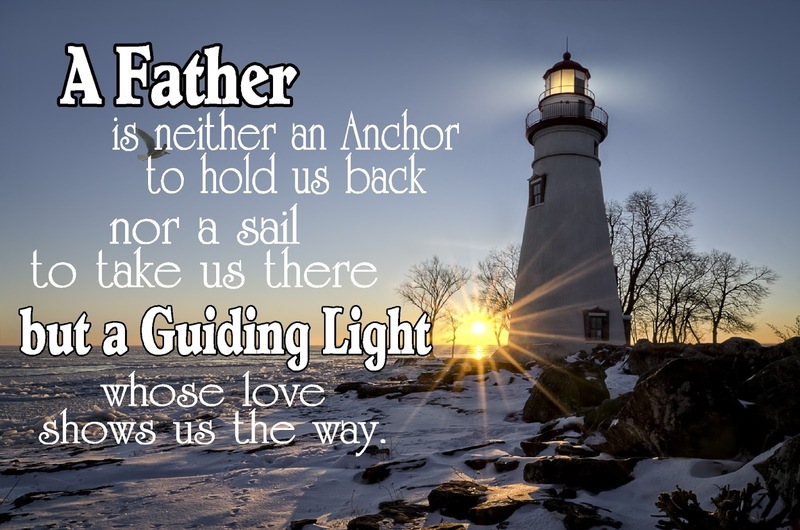 It reads "A Father is neither an anchor to hold us back nor a sail to take us there but a guiding light whose love shows us the way."